Long Barn is an upside down house with all living spaces on the first floor to maximise views of the lough. 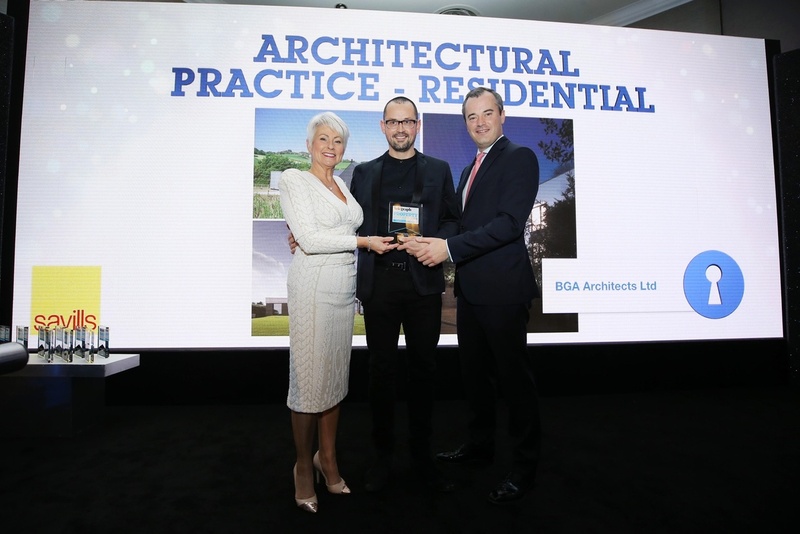 John collects the award on behalf of Team BGA from Pamela Ballantine and Ben Turtle (Savills) for Architectural Practice of the Year (Residential) at the Belfast Telegraph Property Awards 2018. A dark grey fibre cement clad element (the ‘entablature’) sits on a sequence of masonary columns (the ‘colonnade’). A secondary building (the garage) is positioned perpendicular to the house and is timber clad. It creates an entrance courtyard and provides privacy towards the road. The colonnade generates dynamic shafts of light entering the interior spaces. 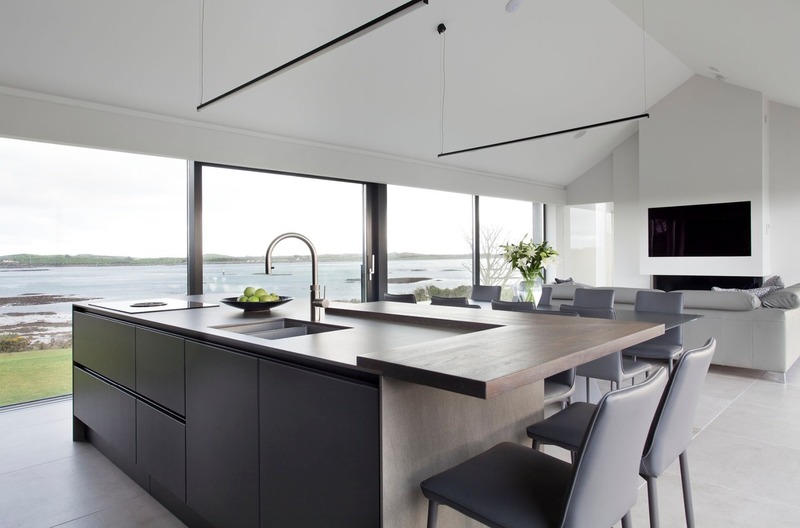 Long Barn, Strangford has been handed over. 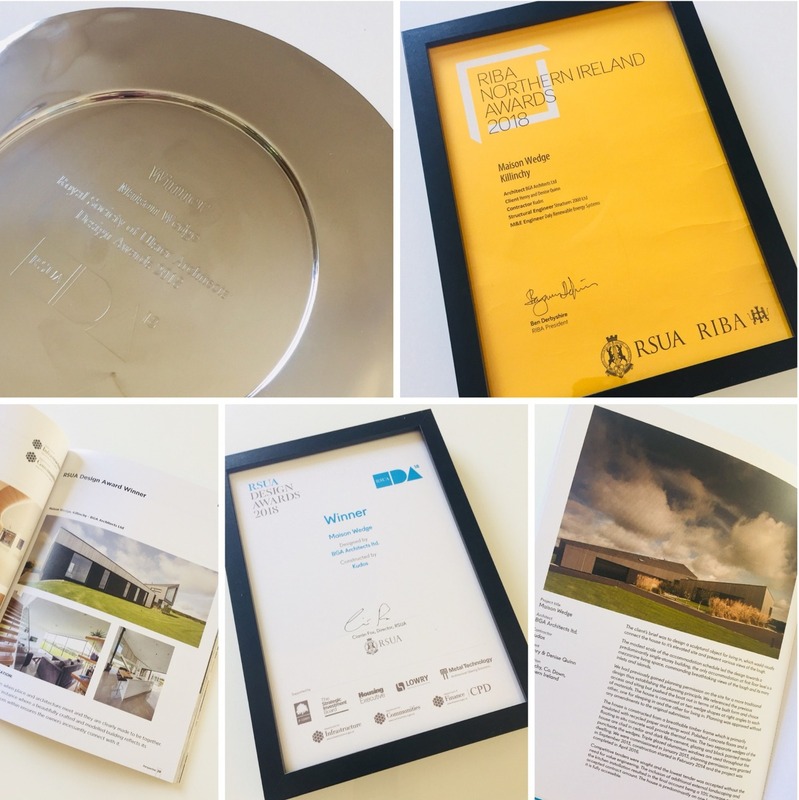 BGA have been Shortlisted for Residential Architect of the Year in the Belfast Telegraph Property Awards 2018. The winners will be announced at the gala awards lunch in the Crowne Plaza, Belfast on 16th November 2018. 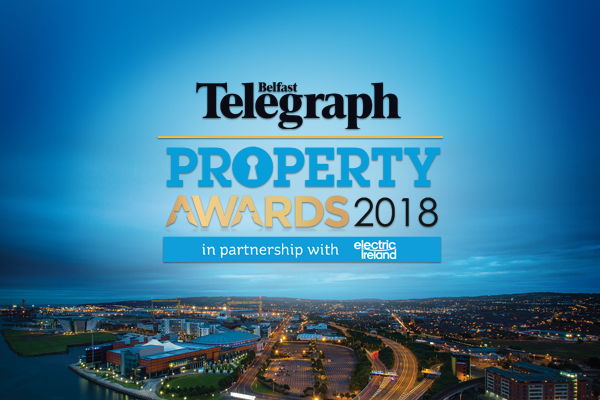 Commenting on this year's entries, chair of the judging panel, Professor Alastair Adair, deputy vice chancellor of Ulster University, said: "The Belfast Telegraph Property Awards 2018 in partnership with Electric Ireland go from strength to strength. "The high quality of nominations shows that people have a love affair with their built environment in which they live, work and play and the Belfast Telegraph Property Awards highlight the response of the sector to increase the quality of service and design that the public demands". 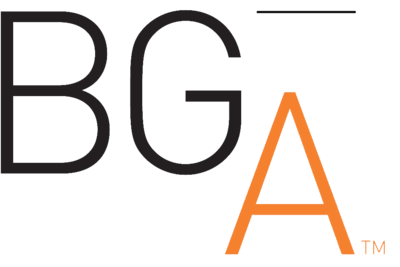 BGA Architects win the Corporate LiveWire Global Award 2018 for Excellence in Design & Innovation. 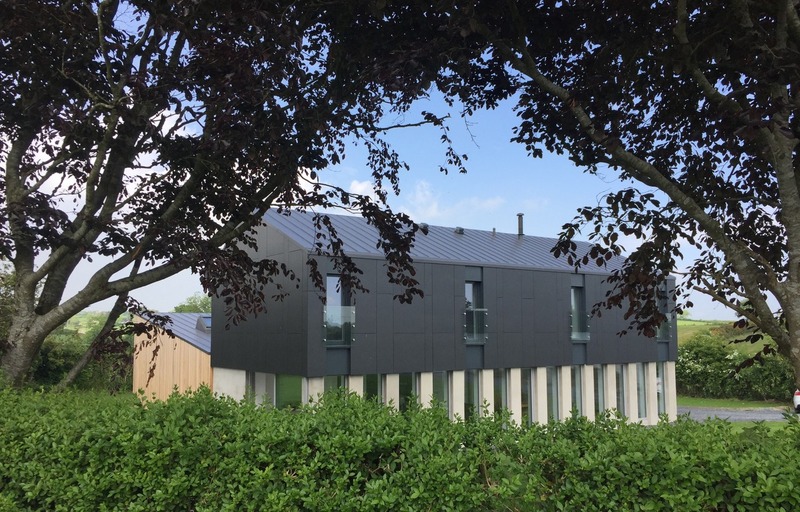 The judging panel commended: the strength and depth of BGA Architects overall portfolio, whilst highlighting their conscious effort to creating more sustainable and ecological developments. 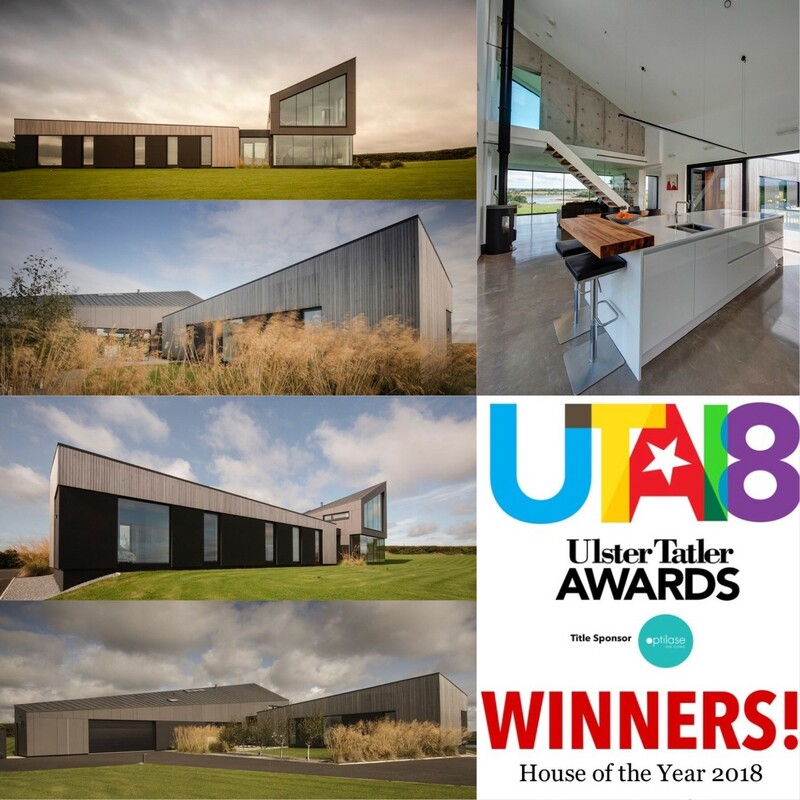 Maison Wedge is amongst any famous faces as it wins the prestigious Ulster Tatler House of the Year 2018 at Belfast's Iconic City Hall. Other winners on the night included World Superbike Champion Jonathan Rea, who was named Sportsperson of the Year in a hotly-contested category that also included boxing champion Carl Frampton, gymnast Rhys McClenaghan and Ulster and Ireland rugby aces Rory Best and Jacob Stockdale. 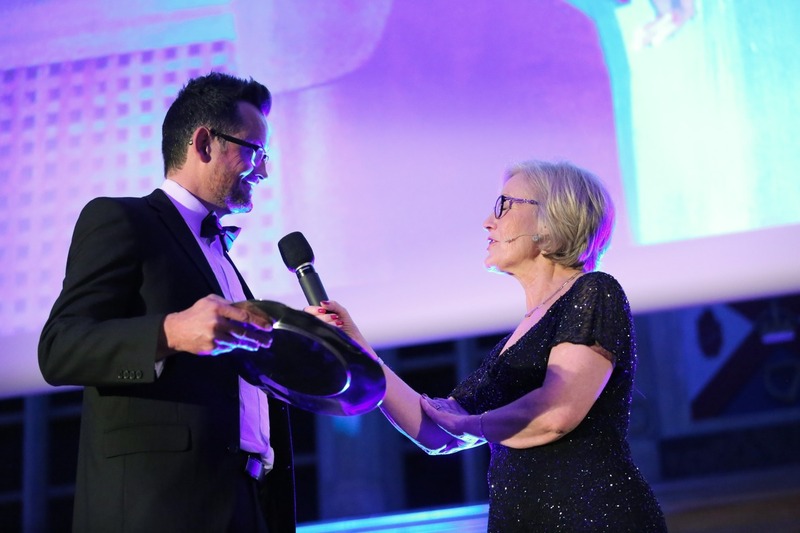 The Celebrity of the Year award was won by much-loved local star Pamela Ballantine who was also the glamourous host on the night. The Lifetime Achievement accolade was awarded to Ciaran Hinds. The Game Of Thrones star flew into town to pick up the award which in the past has been won by a host of local legends including Dame Mary Peters, James Galway, Brian Friel, Phil Coulter, Gloria Hunniford, Michael Longley, Gerry Armstrong, Barry McGuigan, Terri Hooley and Marie Jones. 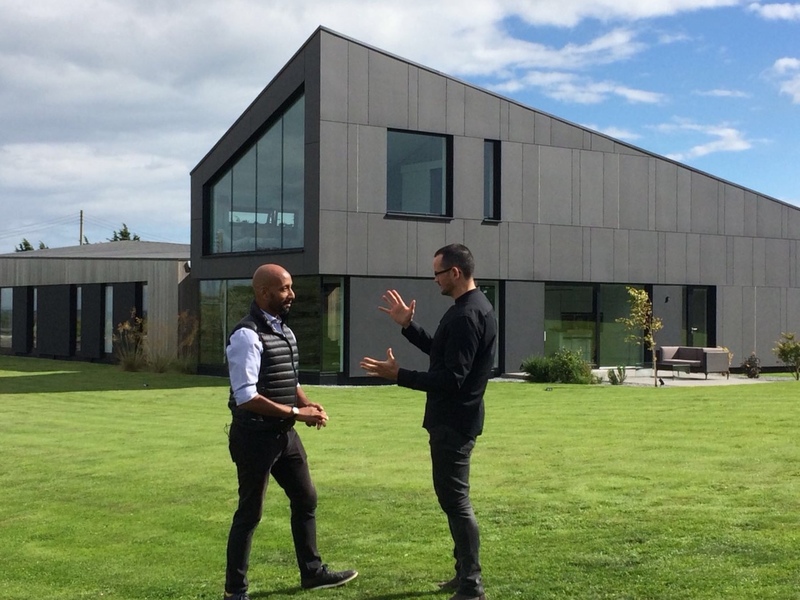 BGA had a couple of enjoyable days last week with the Grand Designs House of the Year TV Crew. John is pictured with Damion Burrows, Co-Presenter of the show which will be aired in November this year. We're looking forward to seeing the footage. Scrabo Clachan and Maison Wedge have both been Shortlisted for Corporate Livewire Architecture Awards 2018. This International Competition is a celebration of construction, design, planning and completed work, highlighting firms and individuals who have shown a commitment to their sustainable sector. 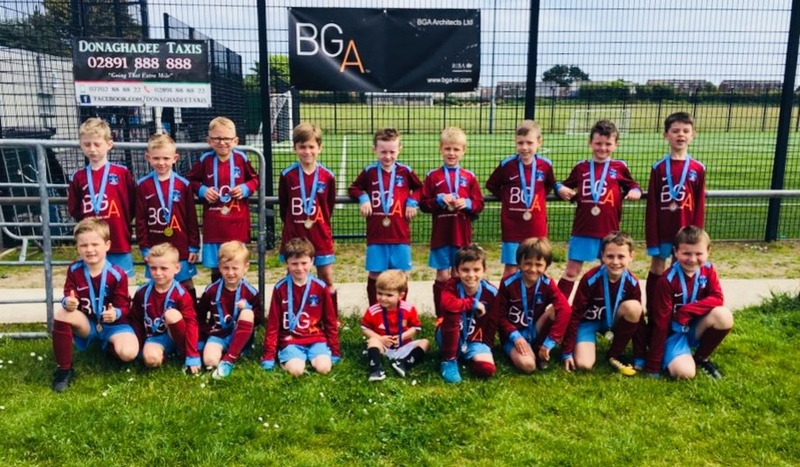 BGA are proud to sponsor new jerseys for the Abbey Villa FC Youth Team 2010. 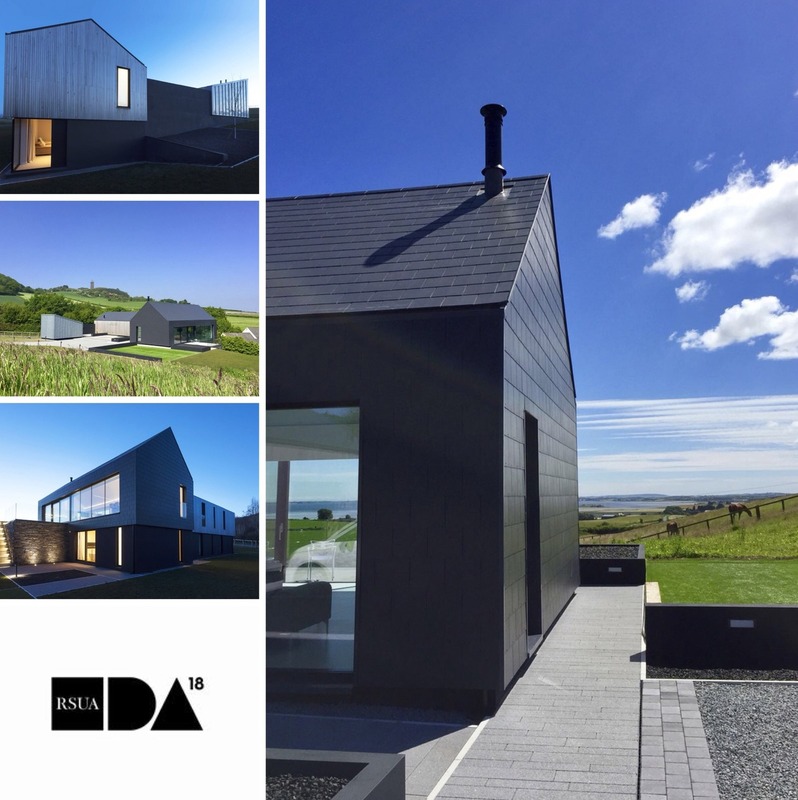 Maison Wedge has won an RSUA Design Award and an RIBA Northern Ireland Award. This project will now be considered for a UK-wide RIBA Award. Judges Citation: There are times when place and architecture meet and they are clearly meant to be together. This is one such instance where a beautifully crafted and modelled building reflects its landscape, and from within ensures the owners incessantly connect with it. 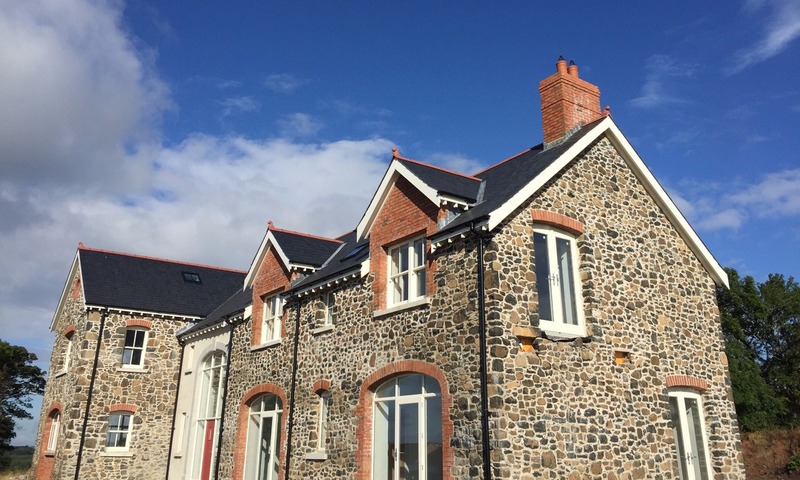 Scrabo Clachan has been shortlisted for the RSUA Design Awards 2018 and the Regional RIBA awards in Northern Ireland. The winners will be announced at a Gala Evening will be held on Friday 18th May 2018 at the Whitla Hall, Queen's University, Belfast. The black tie dinner is the one of the highlights in the calendar for all those involved and interested in the design of the built environment in Northern Ireland. Architects and fellow construction professionals will be joined by a wide range of clients, government officials and politicians. 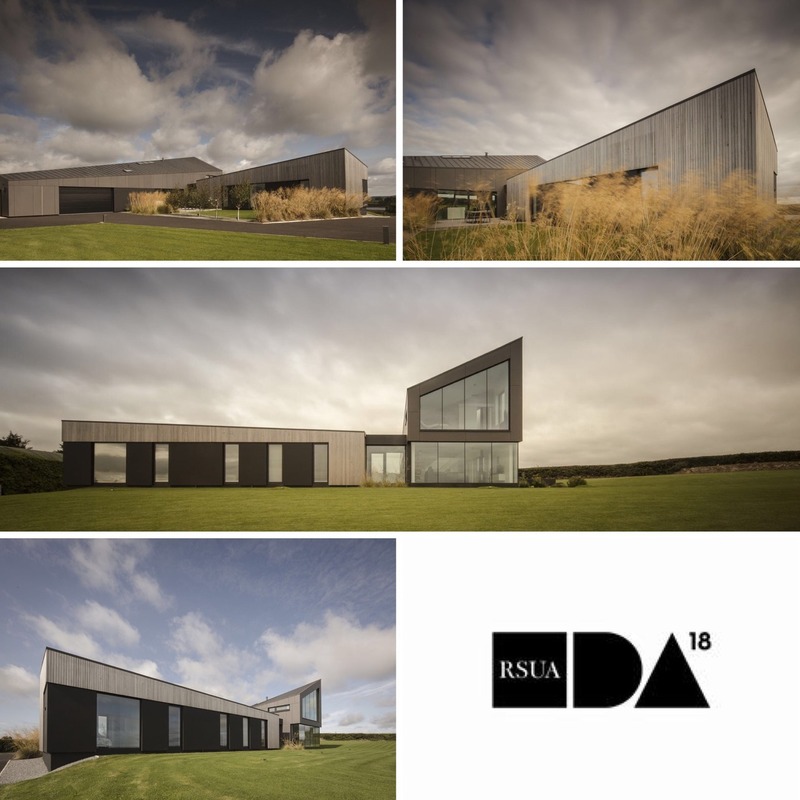 Maison Wedge has been shortlisted for the RSUA Design Awards 2018 and the Regional RIBA awards in Northern Ireland which is the first step on the road towards the RIBA Stirling Prize. 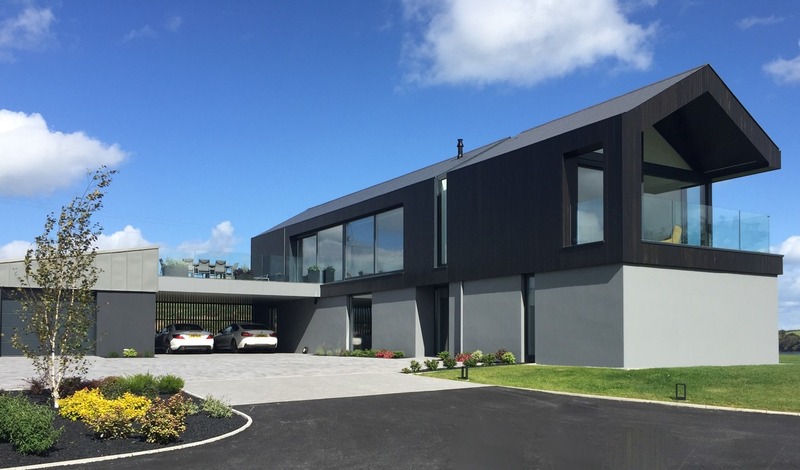 This project maks up the longlist for the Liam McCormick Prize – Northern Ireland’s Building of the Year Awarded. The Gala Evening will be held on Friday 18th May 2018 at the Whitla Hall, Queen's University, Belfast. 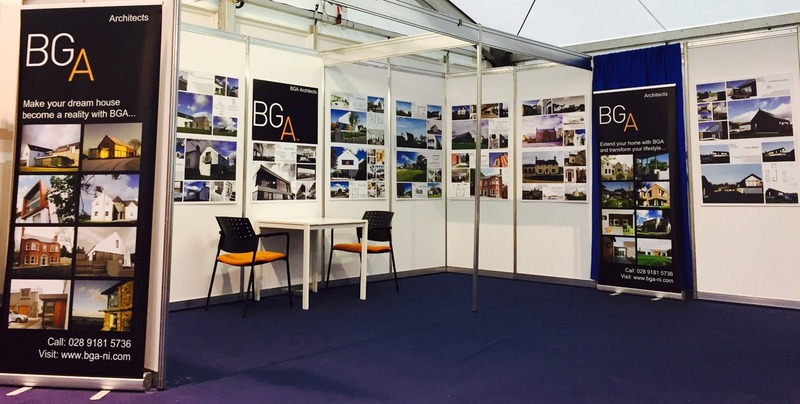 BGA are exhibiting at this year's SelfBuild Live in the Titanic Exhibition Centre, Belfast. See us at Stand C33. We are looking forward to our 7th year at the Belfast Show. 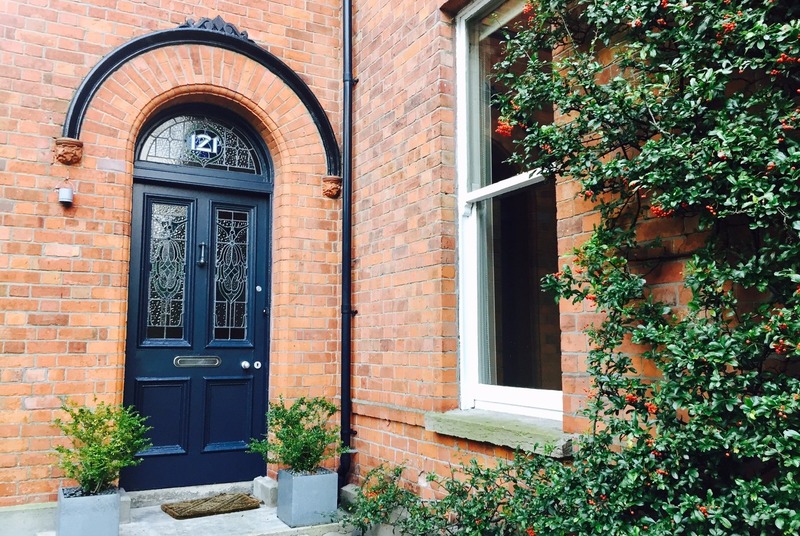 We have been commissioned to remodel and extend this beautiful Victorian house in the Malone Conservation Area, Belfast. 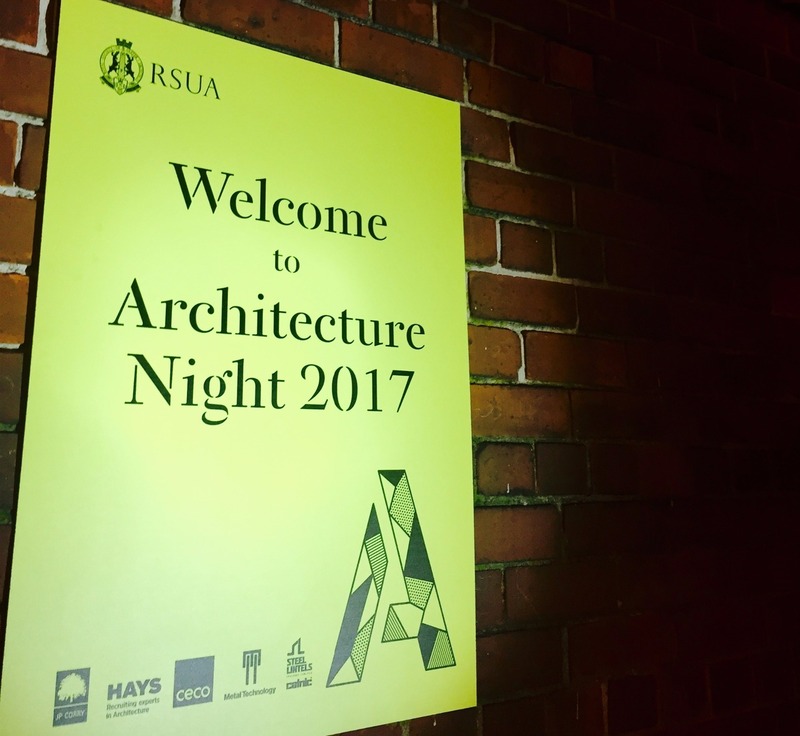 BGA attended the annual RSUA Architecture Night at the Kings Works Building in Belfast's Titanic Quarter. BGA Architect's tallest building design to date has been submitted to planning. The 7 storey mixed use development is located along Belfast's Great Victoria Street. The proposal will deliver a restaurant, a coffee shop and a mixture of 1 and 2 bedroom apartments. 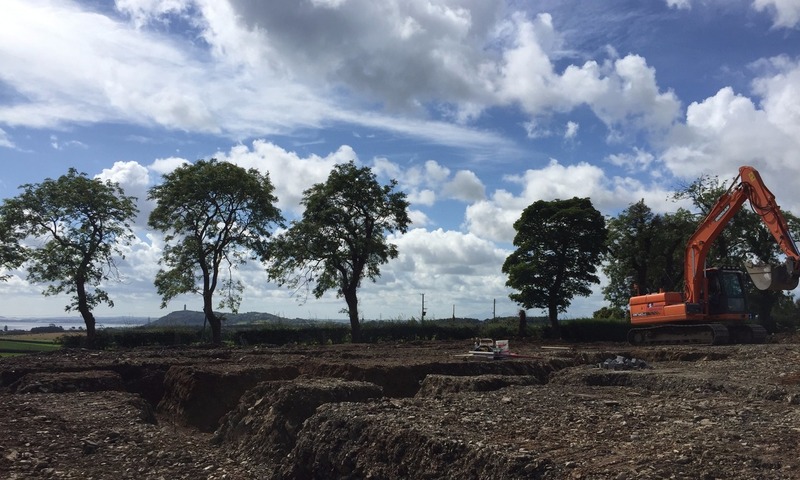 Construction has started on four Georgian style houses in Hillsborough, Co. Down. The spilt-level traditional red brick houses respect the local conservation area architecture along the street frontage. The internal arrangement and rear elevations have contemporary living in mind. In section, the three storey houses are connected with a central void volume, introducing an abundance of natural light into the lower ground floor plan. The Avenue, Warrenpoint is nearing completion. 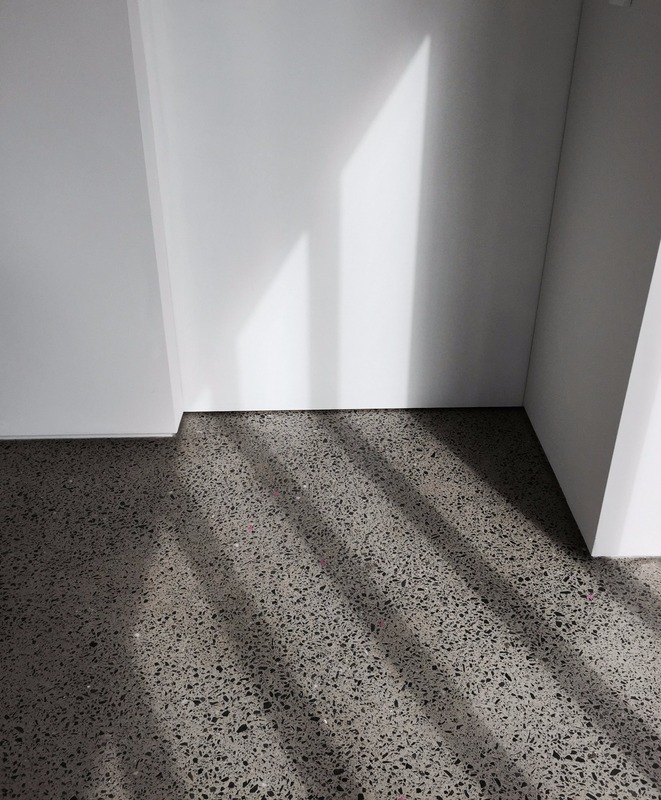 Vertical bars in the full height glazing cast diagonal shadows across the polished concrete floor in the afternoon sunlight. Scrabo Clachan features on the front cover of Living Design Magazine. 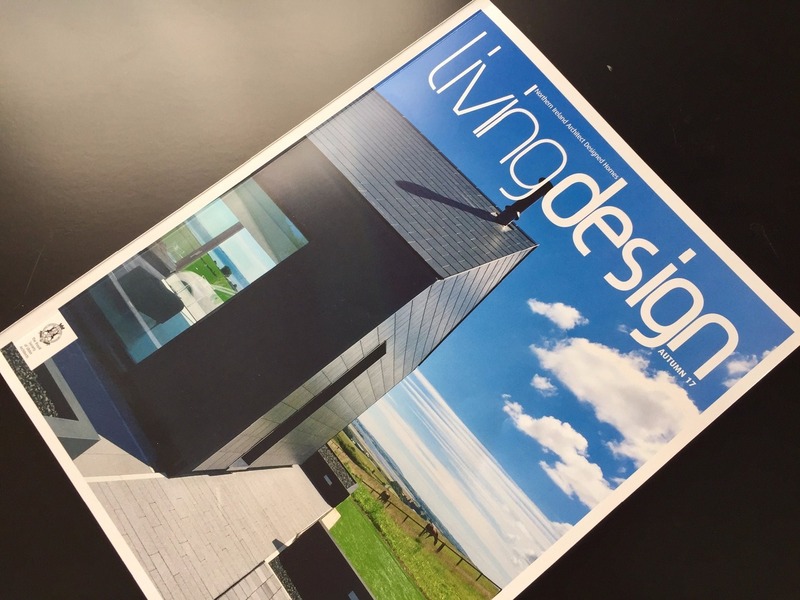 Living Design is a publication of the Royal Society of Ulster Architects (RSUA), the magazine is devoted to promoting architect designed homes in Northern Ireland. Click HERE for project details. Colonnade House gains planning permission. The site is located on the outskirts of Belfast with rural views in all directions. The main building with it's asymmetric ridge line is expressed as two distinct parts. A entablature, clad in dark grey fibre cement sits on a sequence of masonary columns. A secondary building (the garage) is positioned perpendicular to the house and is timber clad. It creates an entrance courtyard and provides privacy towards the road. Completion is due for early 2018. This single level dwelling has a orthogonal 'Z' plan form. A dual sided glazed living space links either end, one of these ends contains the bedrooms and the other end is a sculpture's studio. The reccess creates a covered entrance and a evening verdana. 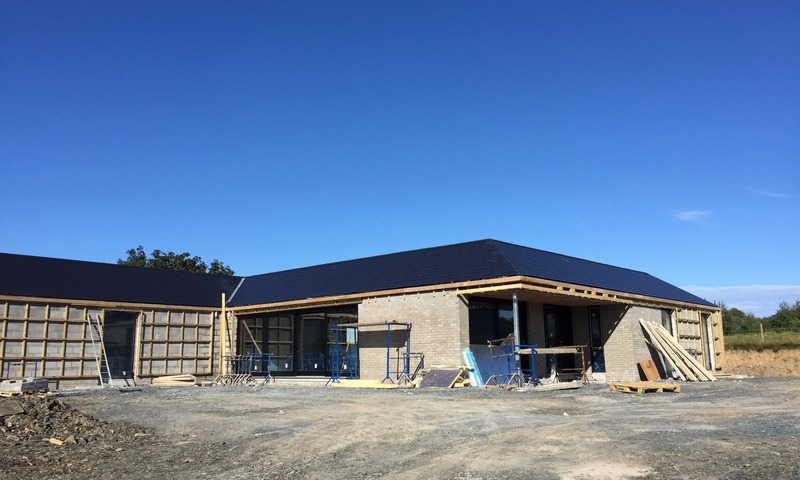 The external envelope is finished in black fibre cement, black timber cladding and bare concrete brickwork. The same black timber and concrete brickwork are repeated inside the house. 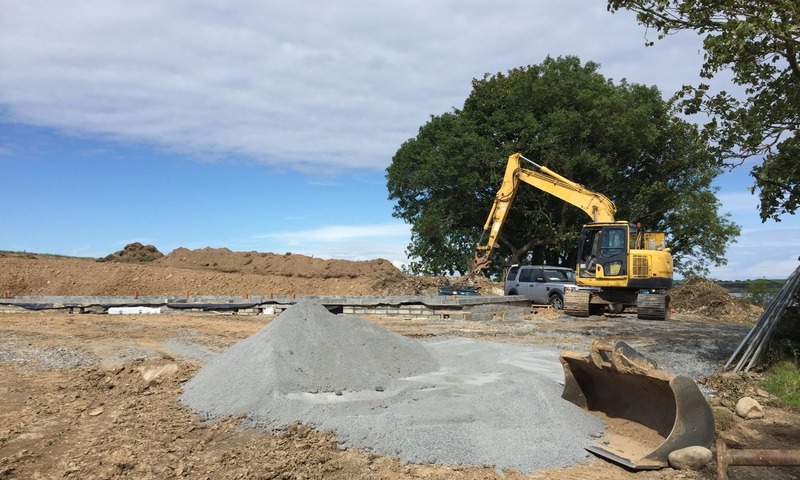 The concrete floated floor screed was poured last week. Completion is due for November 2017. Replacement Dwelling at Upper Braniel Road is almost complete. First site visit to infill house on Tullynagardy Road, foundations are exvacated and the concrete will be poured later this afternoon. The elevated site has panoramic views towards Strangford Lough and Scrabo Tower. Replacement Dwelling in Strangford has started on site. Completion due for July 2018. Click HERE for Computer Generated Images.